There is nothing like a crisp, freshly cooked Hash brown. 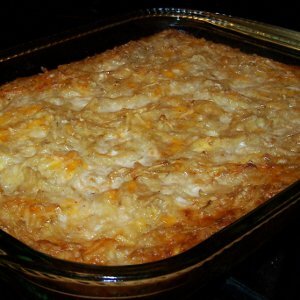 Hash browns are a staple breakfast food in North America, where they are often fried on a large common cooktop or griddle. While they are not traditional, they are widely served in the UK as part of an English breakfast. These are consumed with baked beans. The full name was ‘hashed brown potatoes’ (or ‘hashed browned potatoes’). its first known mention is by food author Maria Parloa in 1888. Earlier, a recipe from the Minnesota Farmers’ Institute Annual of 1835 mentions this food form. This journal has hash potatoes (cooked in milk, but not browned), brown hashed potatoes and brown creamed hash potatoes. A very close dish is from switzerland, rosti, which is quite similar to hash browns. But widely, it is accepted that this food form has originated from united states. There are variations of this recipe which are also popular. Corned beef, chopped meat, leftovers, or other vegetables are part of the recipe of this. 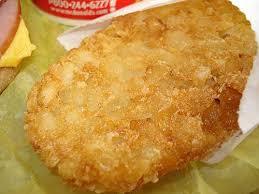 Hash brown potatoes are diced, mixed with shortening and chopped onions, and then fried to form a browned potato cake. Following is the full recipe of this item. Butter – 3 tb sp. – Peel and wash potato. – Heat butter in a large skillet. – Using spatula, pat potato mixture into skillet. Cook on a medium low heat till the bottom is crispy and golden. – Turn it cook on other side. Once done you can cut them in traditional wedge shape or any other desired shape. Home fries– These are basic potato preparation. very commonly found in Mcdonalds.